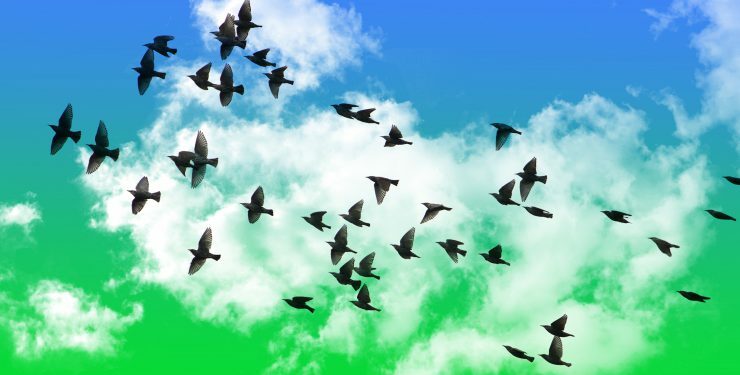 CHIRP & DRIFT : TALK : CONNECTING NATURE, ECOLOGY AND ART : How do we engage with what matters? 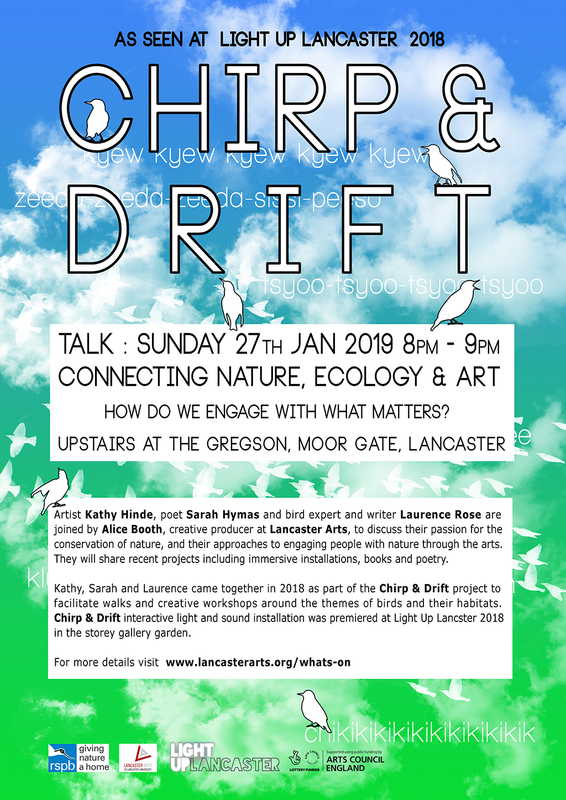 Artist Kathy Hinde, poet Sarah Hymas and bird expert and writer Laurence Rose are joined by Alice Booth, creative producer at Lancaster Arts, to discuss their passion for the conservation of nature, and their approaches to engaging people with nature through the arts. They will share recent projects including immersive installations, books and poetry. Kathy, Sarah and Laurence came together in 2018 as part of the Chirp & Drift project to facilitate walks and creative workshops around the themes of birds and their habitats. Laurence Rose is a writer and conservationist who has worked for the RSPB for over 30 years. He recently authored ‘The Long Spring’ published by Bloomsbury press. He is currently part of a team managing ‘Back from the Brink‘, a programme of species recovery projects run by eight organisations working across all wildlife.